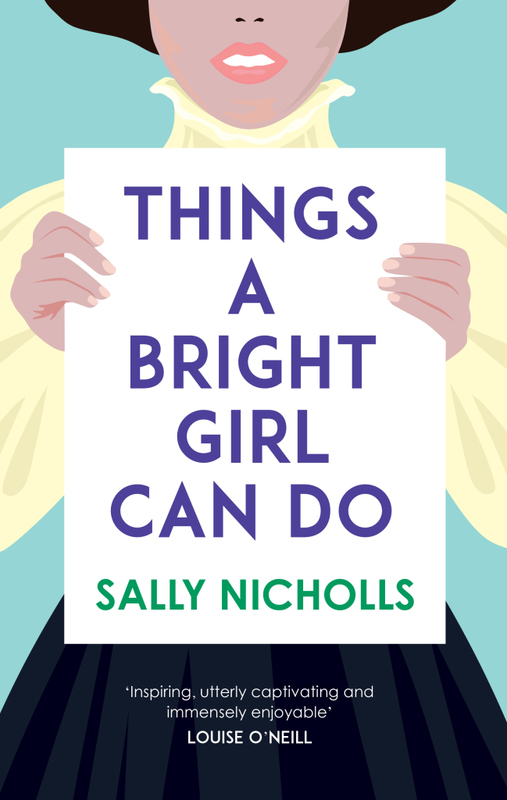 Our September guest is Sally Nicholls. She was born in Stockton, just after midnight, in a thunderstorm. Her novels for children and young adults include Ways to Live Forever and An Island of Our Own and have been shortlisted for the Costa Children's Book Award and the Guardian Children's Fiction Prize, and won the Waterstone's Children's Book Prize. She lives in Oxford with her husband and small son. History is written by the winners. It’s a truism I’d never really given much thought to, except to vaguely suppose that most victors think that the wars they won were just wars, and propaganda is a thing, and Richard III didn’t actually kill the Princes in the Tower. 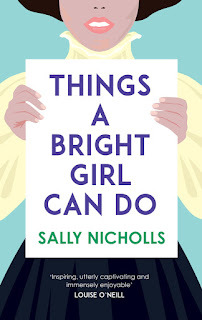 It’s something I’ve come face-to-face with recently though, as I’ve been researching my YA Suffragette novel, Things A Bright Girl Can Do, which is set in the First World War. I thought I knew broadly what life was like on the Home Front – everyone was very patriotic and joined up immediately, expecting the war to be over by Christmas. Women knitted socks. Nobody had any idea how awful the trenches were, and if your son joined up, he probably wasn’t ever going to come back. and went on hunger strike. When the war came along, they all stopped being Suffragettes and went off to be nurses and bus conductors. The vote was given to them as a thank-you present, and because people suddenly realised that women were just as capable as men, more or less. It turns out … that’s not exactly true. Not everyone was particularly patriotic, for a start – although plenty of people were. Saying so is a bit like saying ‘anti-Muslim feeling was running high in twenty-first century Britain’ - I mean, it is, but it’s by no means universal. There’s a wonderful description in one of the books I read about the crowds in London on the day war is declared. The streets are full of celebration and cheering – but in Trafalgar Square, there are two demonstrations going on. One is pro-war, and the other is anti. The day before war was declared, the Labour party had also been in Trafalgar Square, holding an anti-war demonstration. Not everyone joined up immediately either, although plenty did – between 4th August and 12th of September 1914, 478,893 men joined the army. However, these were disproportionately upper and middle class men. The situation was very different for working-class men. Understandably, half a million new recruits joining up made life very difficult for the army. They had to uniform, feed and arm all the non-commissioned men, and paying them a wage was way down the list of priorities. Non-commissioned men could send home half of their salary, but in most cases this was nowhere near as much as they’d been earning in their previous employments, meaning that most working-class families simply couldn’t afford for their father to join up. 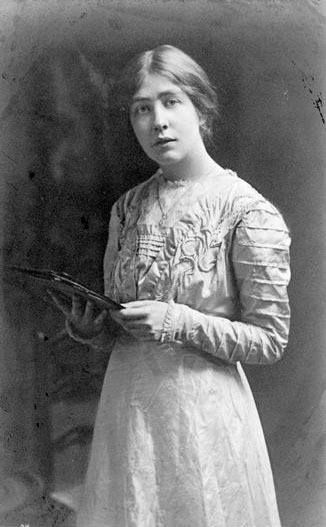 One of the books I read as research for Things a Bright Girl Can Do was Sylvia Pankhurst’s The Home Front. 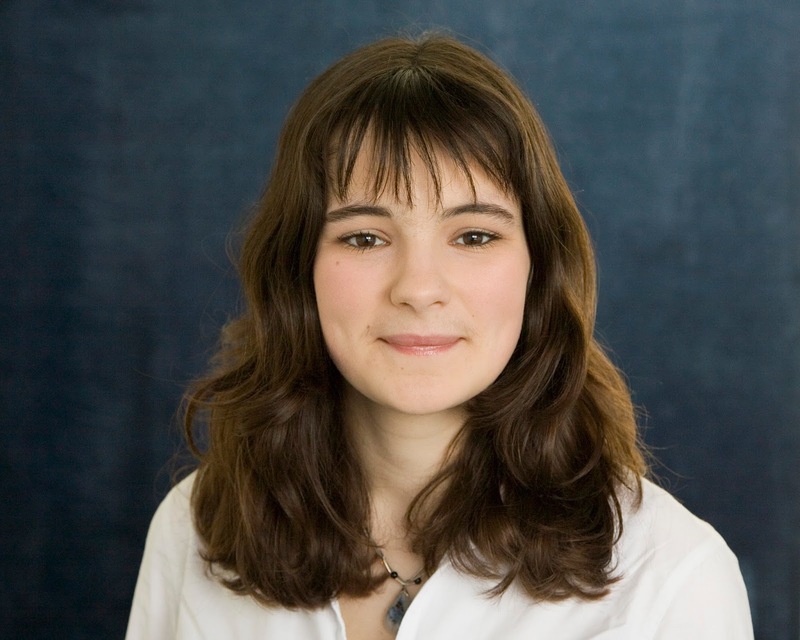 In it, she talks about families whose father was a reservist, and how difficult it was when he was called up. Many factories also closed, partly due to lack of demand – the loss of the German market or the market for peacetime goods – partly due to lack of workforce. Prices rose. This created crippling economic hardship. Nobody ever taught me about this in school. And yes, people did know the trenches were awful, and yes, most of the men in them came home. The history books’ view of the Suffragettes were similarly biased. There were far more non-militant suffragists than there were militant Suffragettes: the non-militant NUWSS had a membership of around 50,000, while the militant WSPU only ever had around 2,000 members. 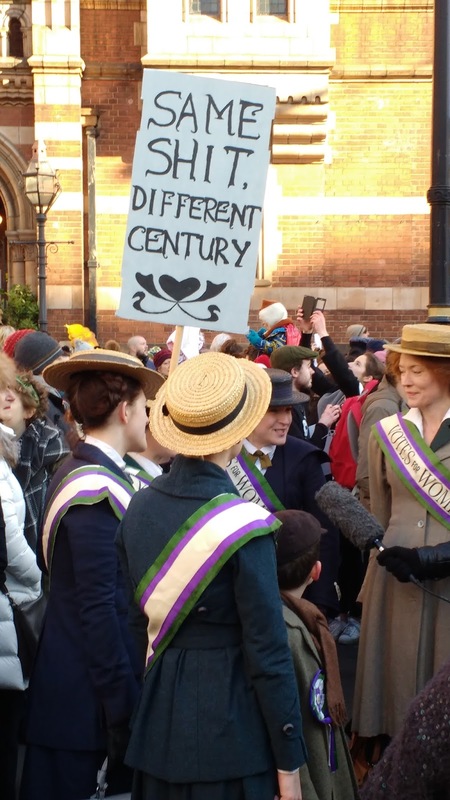 Though Suffrage campaigning did mostly stop when the war happened, some still went on, and many of the suffragists were opposed to the war and used their time to continue to campaign for women’s issues and peace issues. It was generally understood that the fight for votes had more-or-less been won in 1914; that the government would have to capitulate once they could find a politic way to do so. The war – and their story that the vote was a thank you for being good girls – provided that. It was a story which infuriated many suffragists. And while, yes, many men and women did realise women’s potential when they suddenly had to become mechanics and omnibus-drivers, many, many women were already frustrated by their limited opportunities before the war. One reason for this may have been universal education and the fact that the average marriage age was increasing; women who fifty years ago were educated solely for marriage, suddenly found that they had the potential to achieve much more; but not the opportunity. So, history. Still written by the winners. I’m proud to be doing my small part to redress the balance. Excellent post, Sally. And you're right, there are so many half-truths around, both in history and right now, that we really need to put them into perspective. Look forward to reading the book! Great sounding book - and yes, we should always remember that history is written and rewritten by the winners. It's been rewritten as we speak. Excellent post, and I can tell you that the book is wonderful.